Fajny, a ja sobe bardziej wyobrażam te kotki na takim florescencyjnie zielonym, a księżyc na granatowym tle. Co myślisz? @lady_flower123 też można :) Ale to trzeba by farbkami bo żółty lakier na granacie by kiepsko wyszedł. I love them, especially the one on your index! 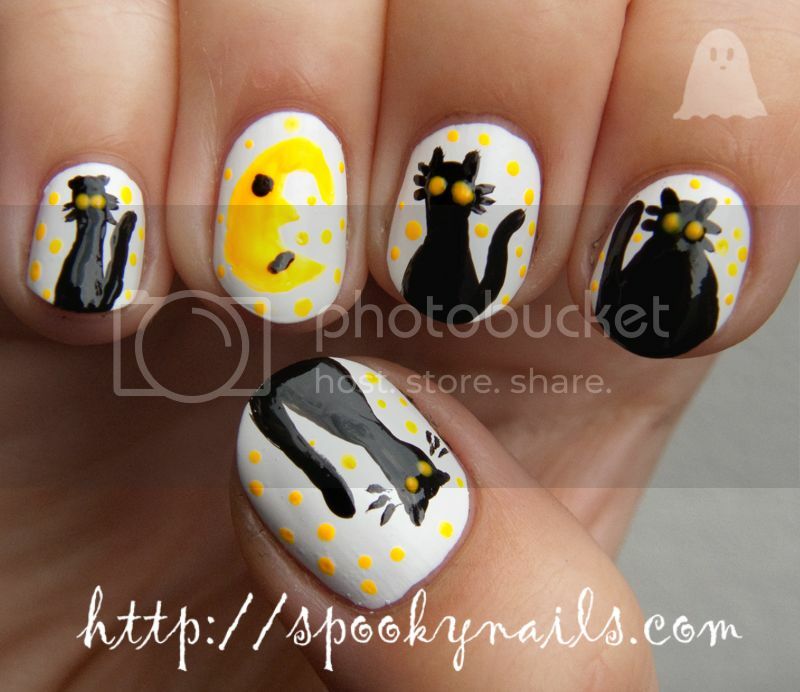 so cute, i love cats, the eyes would have looked cool in glow in the dark polish ! I really love this! Those cats are so awesome! ciekawe, ciekawe. Podoba mi się. Very awesome! Great job on this! that’s a win!!! I love cat’s eyes!! How perfect that you were the first one to join the party! (after my test entry!) Can you do me a favor, I didn’t build my button properly the first time, can you delete the broken link at the bottom of your page? SORRY!